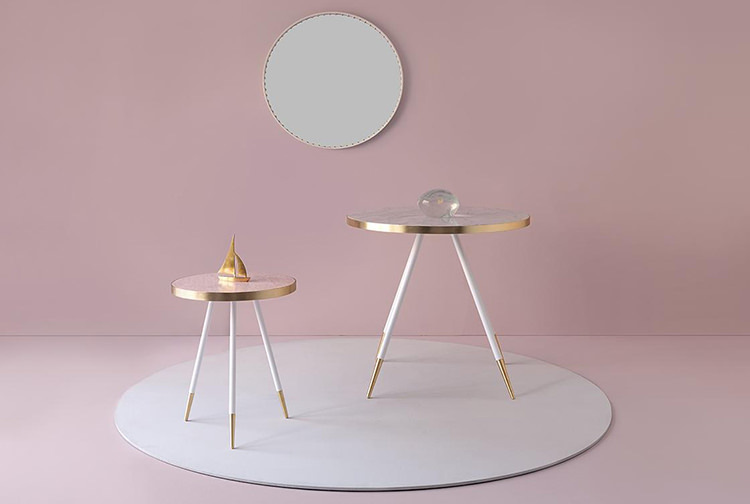 Welsh designer Bethan Gray’s Band Collection is exquisite. 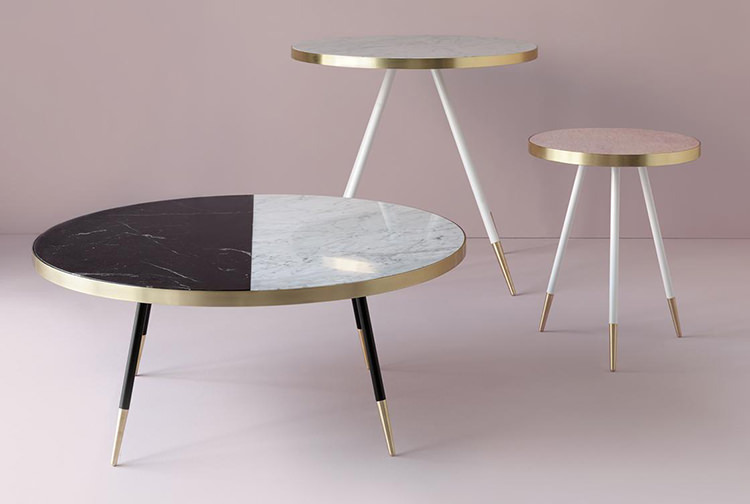 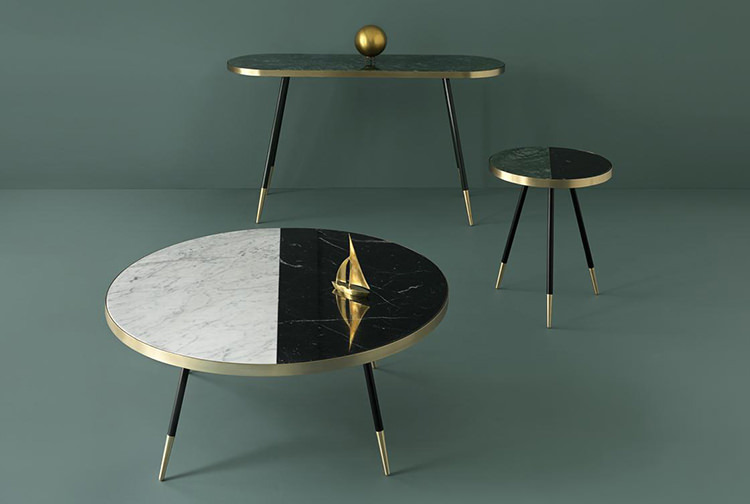 Blending coloured marble with warm brushed brass, using the cleanest of lines and lovingly hand-crafted, the set of tables is truly elegant and inviting. 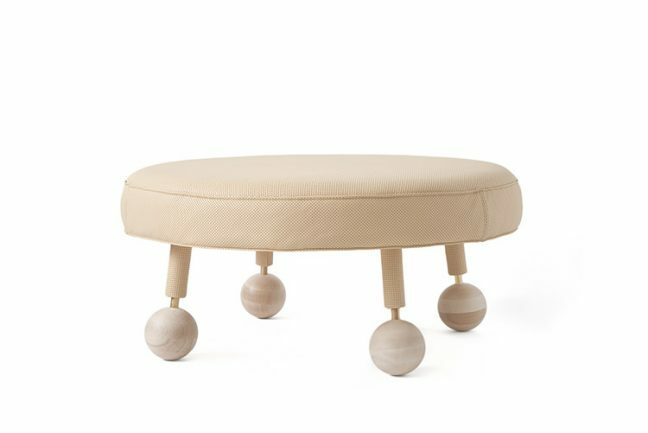 It’s the kind of collection we would happily gaze at for hours – never mind the practicality. 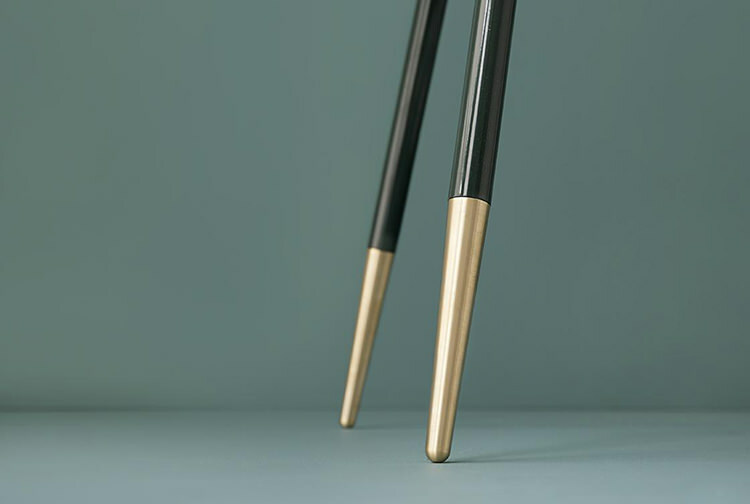 Winner of the Best British Designer Award 2014, Gray in this collection stays true to her signature style of fine lines and detail, tactile textures, and luxurious materials. 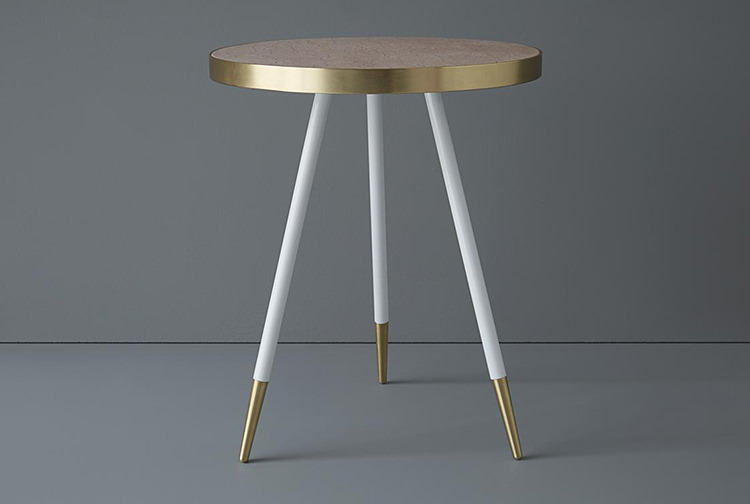 The tops are made of rich solid stone with intricate patterning and are encased in a soft almost rose-tinted brass edge, they sit atop perfectly formed legs – dainty but strong and come in various finishes in the gentlest of colours, one- or two-toned depending on the buyer. 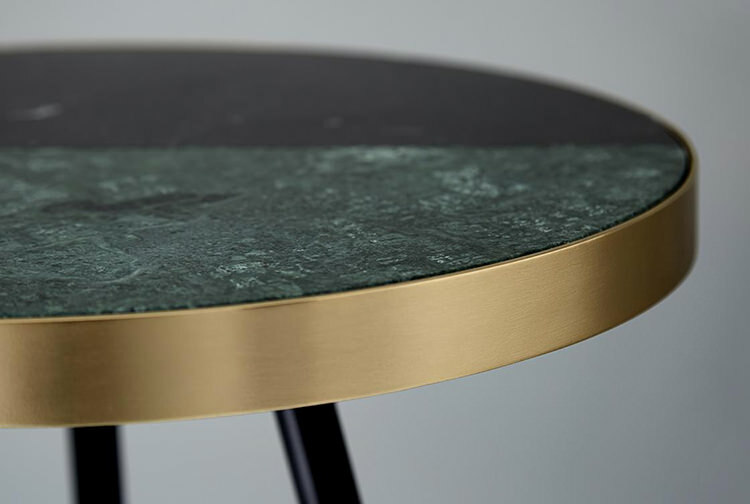 It’s also a collection that combines a rich heritage – Gray’s family hails from an ancient Rajasthani clan that over centuries migrated across Arabia and Persia before settling in the Celtic heartland of Wales – with the most advanced technology. 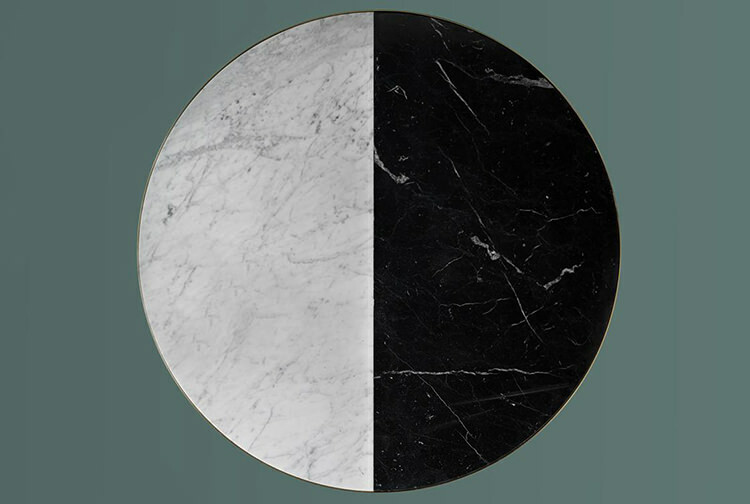 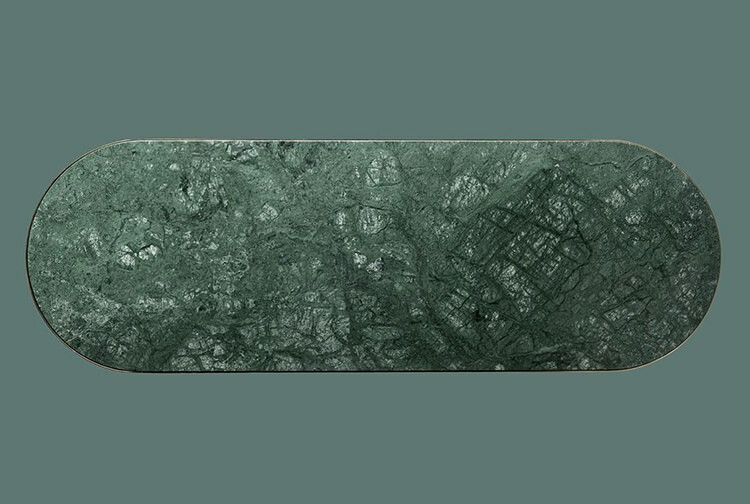 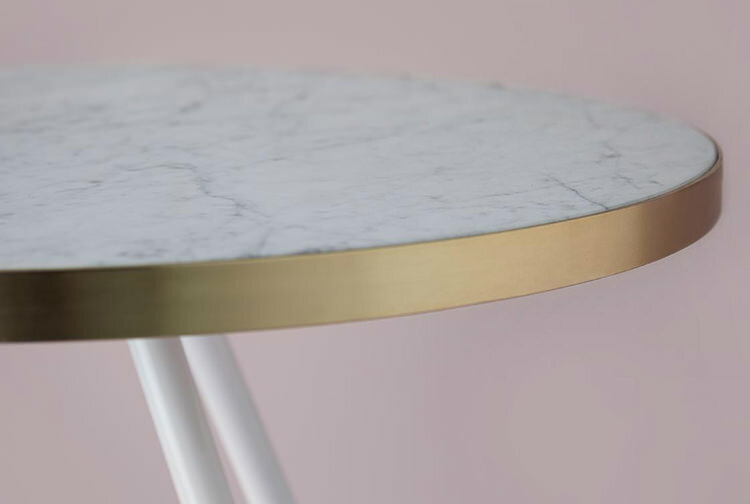 Each table is made from specially selected European marble, cut and polished then carefully lacquered. 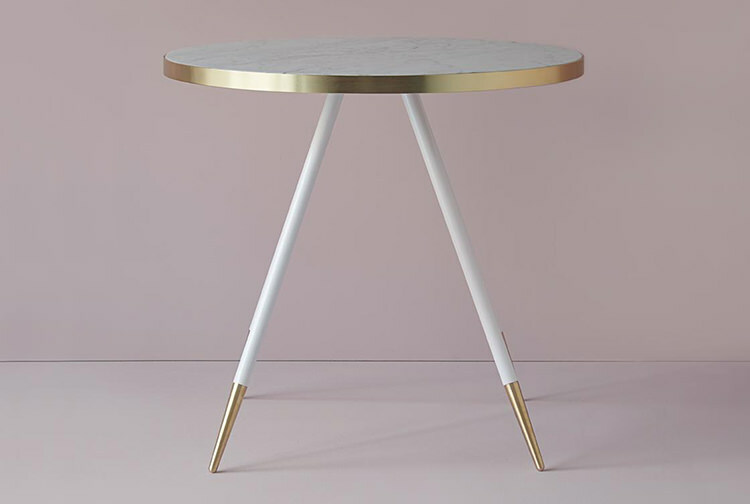 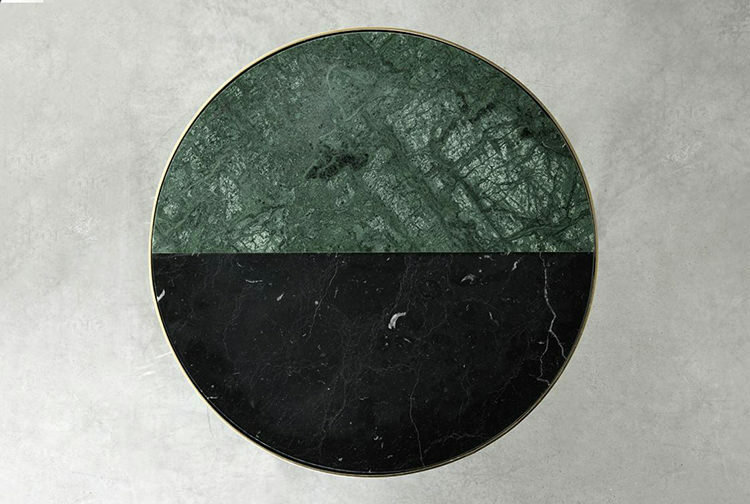 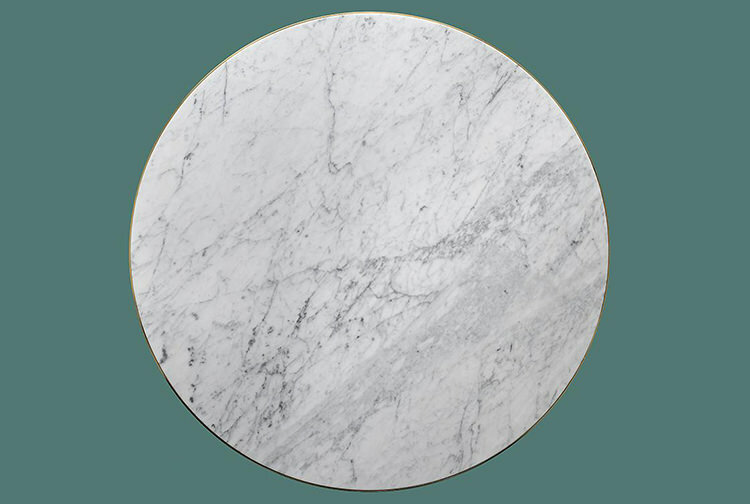 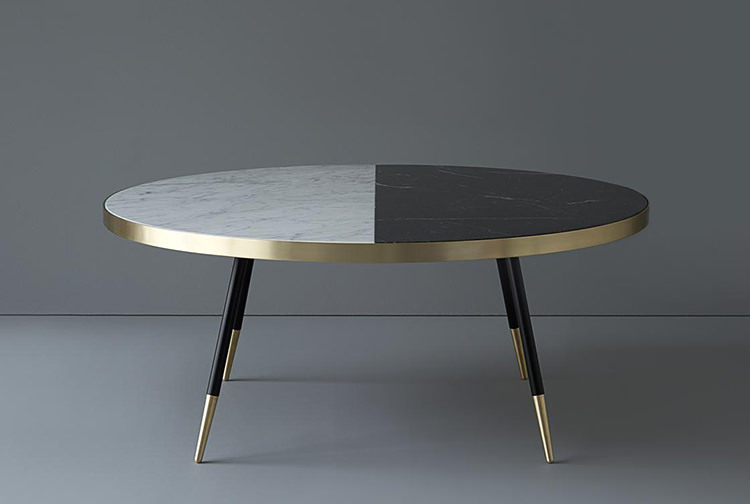 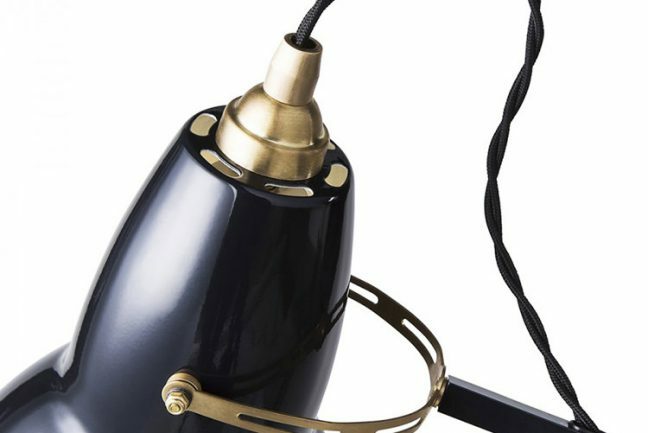 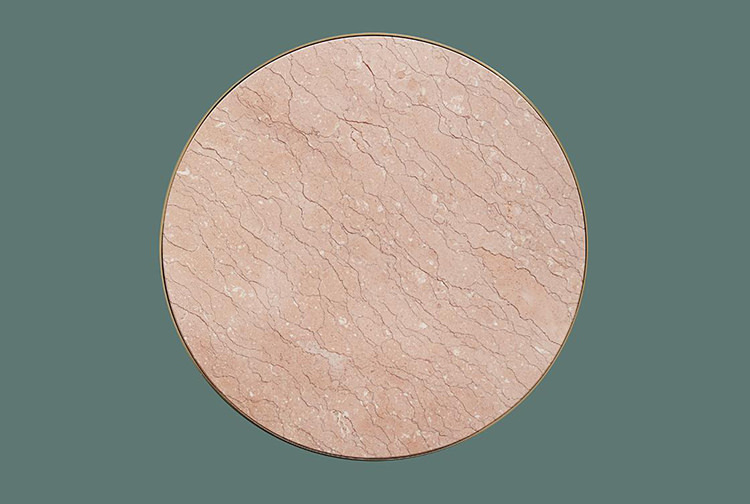 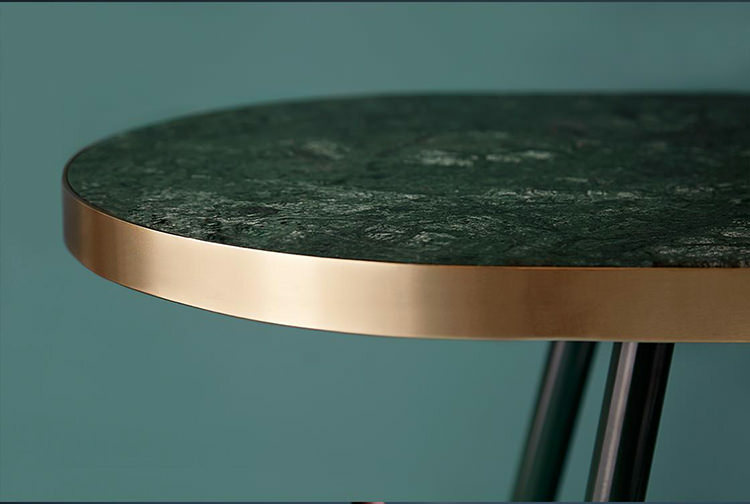 The solid marble then gets its defining metallic rim, the bases are powder coated, and precision-machined brass feet are hand brushed and finished by hand. 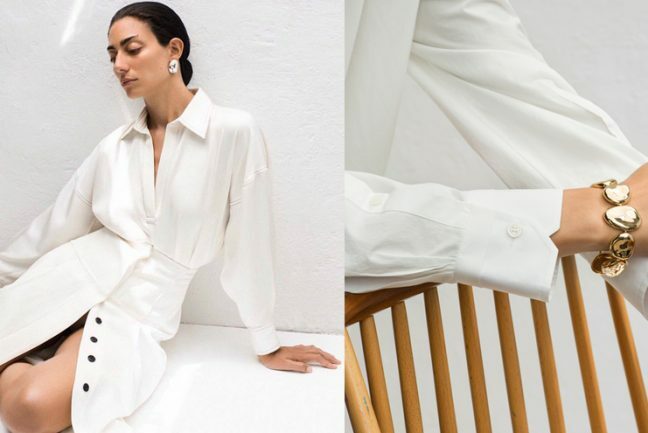 The result is something warm and real but also completely contemporary – a collection that resonates across both cultures and time, and would no doubt fit well in many a setting.